Editor’s Note: Pan-Orthodox Cleveland is the setting for the 9th meeting of the Canonical Orthodox Bishops charged with bringing the separate Orthodox ethnic divisions together. They meet the first week in October. They are really meeting under the radar. Many faithful people actively involved in the life of the church in Cleveland do not even know that the meeting is taking place. What a shame! Over fifty bishops meet and the church faithful at large do not have access to their discussions. Why are not the minutes, results of surveys and discussions made public? If the bishops got out into the city, they would see that the faithful in Cleveland are way ahead of them in working together across jurisdictional barriers. Read the overview, prepared by a long-time, indefatigable Orthodox Christian, Andy Kartalis, who draws a picture of unity in Cleveland. 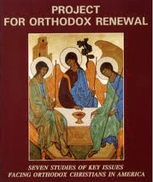 This is why Orthodox Christian Laity is holding its 31st Annual Meeting in Cleveland. The faithful have been way ahead of the bishops on the question of unity for many years. The laity who are the Stewards of the church understand that we accomplish more when we do not duplicate efforts, services and resources. We accomplish more when we work in Unity. Old World Orthodoxy is in turmoil over the issue of Ukraine. This is an excellent time for the bishops to prayerfully reflect upon the needs of their flock in the geographical area of the USA. The “canonical” bishops, in many respects, are more divided today than at any other time in the history of Orthodoxy in the USA. How can some of them consider themselves “canonical,” when they are directed by foreign church leaders and governments from abroad, and when the Church here is divided into ethnic jurisdictions? The Old World hierarchy created the Assembly of Bishops to bring about unity, because they see the situation here as uncanonical, and then they undermine the efforts of the bishops residing in this geographic area. 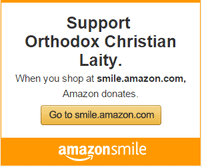 Let us pray for Orthodoxy Christianity throughout the world. Living as an Orthodox Christian in Cleveland is so rewarding, because here, more than probably any other city in America, you live and pray in a pan-Orthodox church environment, with other Orthodox jurisdictions. First, the Orthodox community is large with twenty-seven parishes across the city. Of course, the collaboration begins with the Brotherhood of Priests who work together to enhance and oversee the Orthodox programs and experience. The Sunday of Orthodoxy annual program and the pan-Orthodox Choir Concert each December are two examples of how the Cleveland clergy work together. And now they have recently assumed the responsibility of the college OCF program to work even more closely with our college youth and keep them aware of their Orthodox faith. The members of the Eastern Orthodox Ladies’ Guild, 56 years old and still going strong, never fail to amaze at their accomplishments and their support for Orthodox programs within the City. One Orthodox lady had an idea for supporting pregnant women who are considering abortion, and the program has grown into Zoe For Life, a program now known nationally. 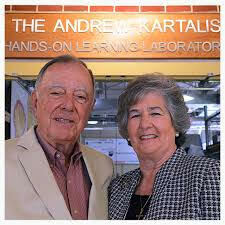 And while IOCC did not originate here, it has been avidly supported with fund raisers and two Presidents from Cleveland. Finally, our best known charity in Cleveland which all the Orthodox churches and individuals support financially, with clothing donations and serving meals there is the FOCUS St. Herman’s House of Hospitality for homeless men. We are proud of its success. All the above is made possible because of the pan-Orthodox environment in Cleveland. We all feel love and appreciation for each other’s Orthodoxy, and thus we work together for the Church.